There is nothing that quite says “romance” as a beach wedding in Hawaii. Many couples dream of this scenario their whole lives. When someone finally pops the question, there is no doubt in either party’s mind that Hawaii must be the place for the big day. Once you start planning, however, it may start to seem a little overwhelming. If you can hire a wedding planner, all the better. Because you will be traveling to get married, using a destination wedding specialist who can handle everything for you is ideal. In the meantime, here are some tips, ideas and inspiration you can bring to your perfect Hawaii beach wedding! 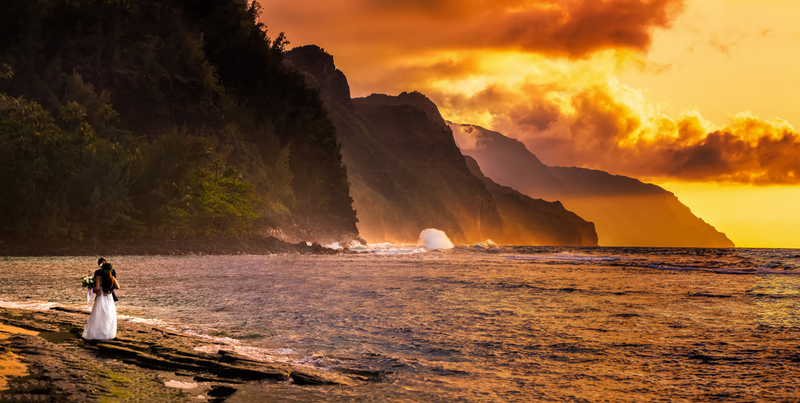 Hawaii is known for warm, tropical climates year-round. Your wedding attire should reflect this, because you certainly don’t want to sweat. 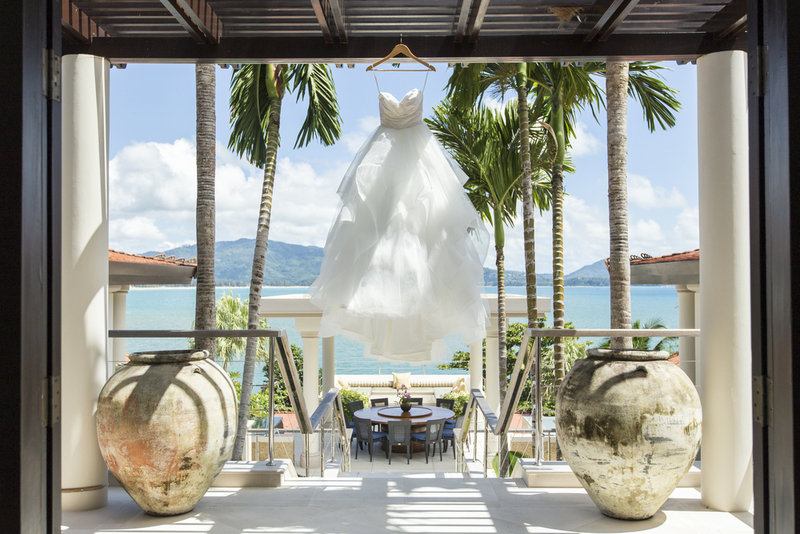 Because you’re having a beach wedding, you’re in luck. Casual, gauzy, lacy dresses and cool linen suits with shirts with opened buttons are ideal, and this is the perfect time to go off-the-shoulder or cocktail-length to showcase your beautiful tan while staying cool and comfortable. 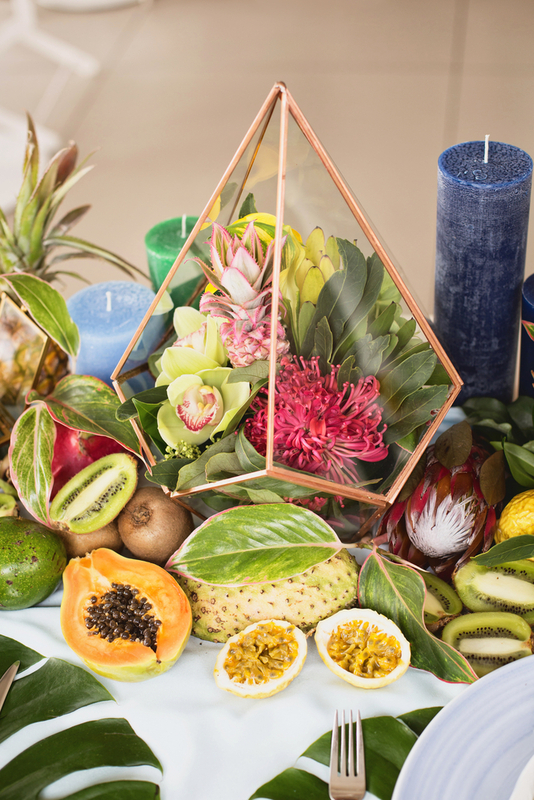 You’re in Hawaii, so make your wedding look like it. Use local flora for your bouquet, and even in your hair. Decorate your aisle and/or reception tables with local flowers and plants, too. Also, go for native-inspired music as you walk down the aisle, and as your entertainment. The ukulele and slack-key guitar are perfect choices. To make it even better, hire a local band who plays these instruments, even for modern rock songs. 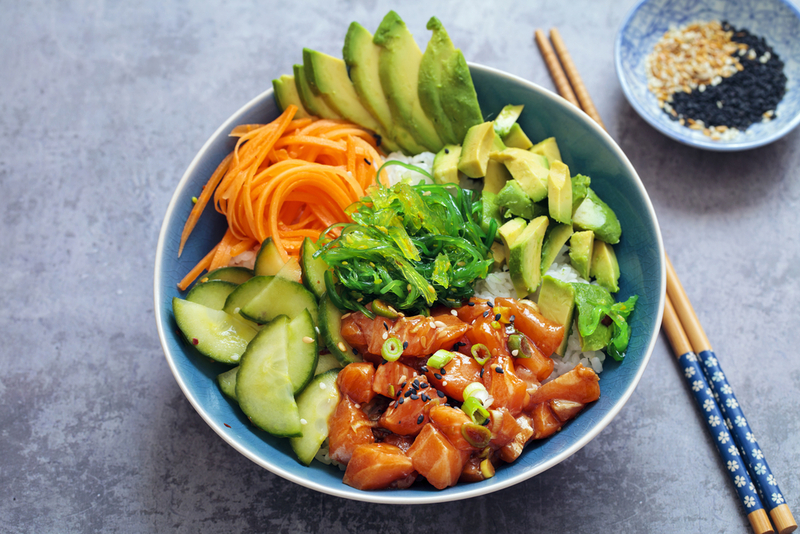 When you think of Hawaiian food, you probably think of poke bowls. These delicious dishes of raw tuna, rice and steamed veggies are fresh and healthy – perfect for anyone looking to stay light. Looking for an authentic Hawaiian experience? Go to a luau and eat some local cuisine! Beef teriyaki, baked mahi mahi, a little rice, and all fruits and vegetables make up a fun-filled night by the beach bonfire. Who could say no to that? When the vows are exchanged and first dances are swayed, it’s time to eat some sweets! Where do you turn? Try Coco Puffs (no, not the cereal) for a cream puff filled with chocolate-y goodness. Top it with a buttercream frosting, and you’ve got yourself a true Hawaiian dessert. Need something more traditional? 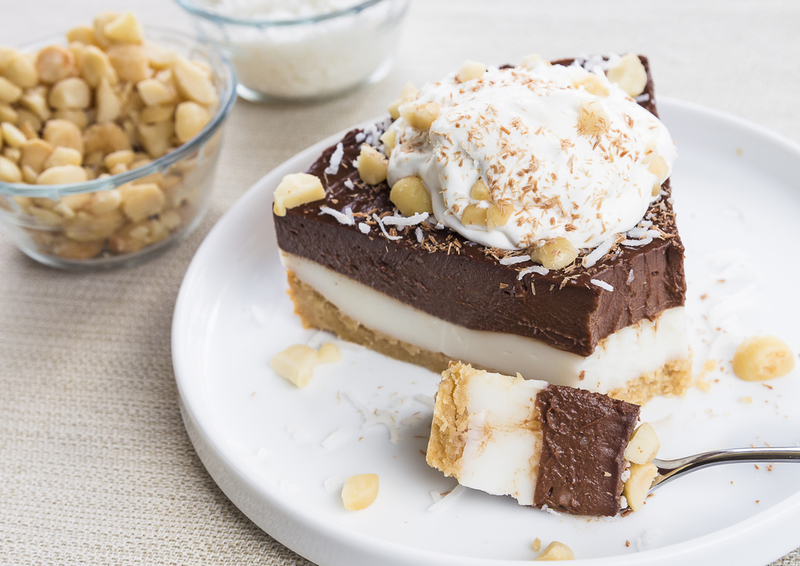 Chocolate Haupia Cream Pies are a rich chocolate coconut custard – but don’t forget the whipped cream! If you’re looking for a fruity concoction, a fruit salad is always a crowd pleaser. Be Sure to Use Your Resort’s Spa! No need to go out to a dozen different places to look perfect when the spa at your resort has everything you need. Get your hair done, enjoy a facial, get your nails wedding-ready, and even have your makeup done. Whichever treatment you decide, be sure to look into local spa treatments like the lomi lomi massage or Nanea Ritual, which includes the use of local plants and oils. If you follow these tips and let your planner take care of the rest, your Hawaii beach wedding will be everything you dreamed it would be. 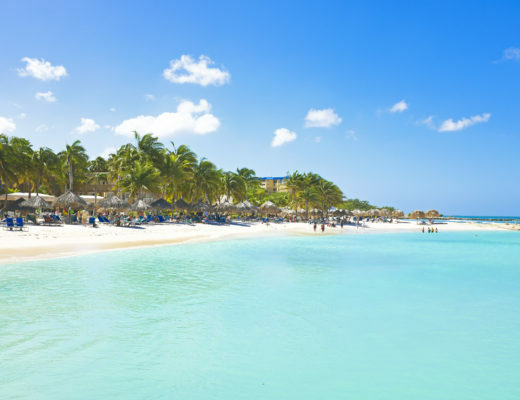 Where to go on your Honeymoon… and when!